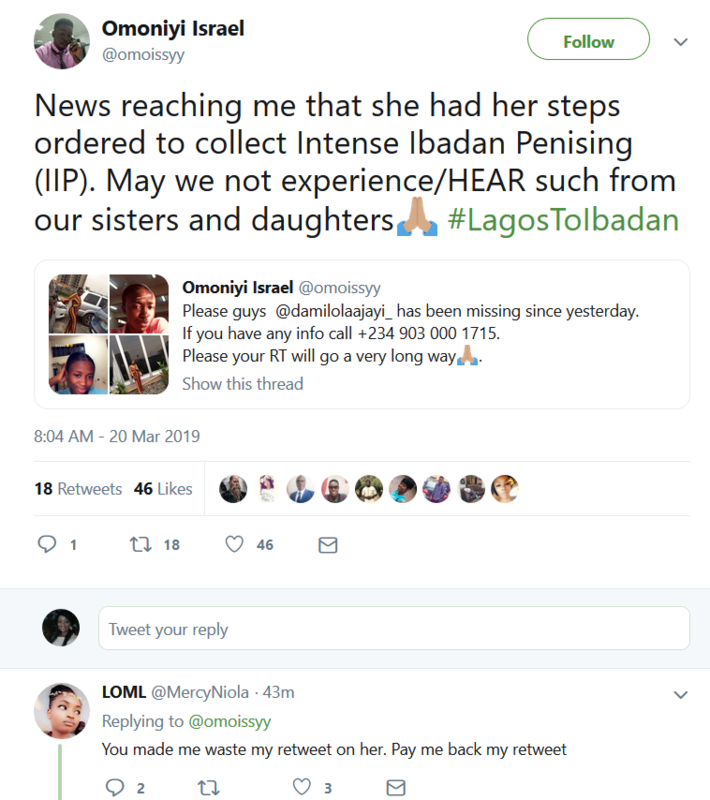 If you have noticed #Lagostoibadan or the photo below on social media, this is the story behind it. 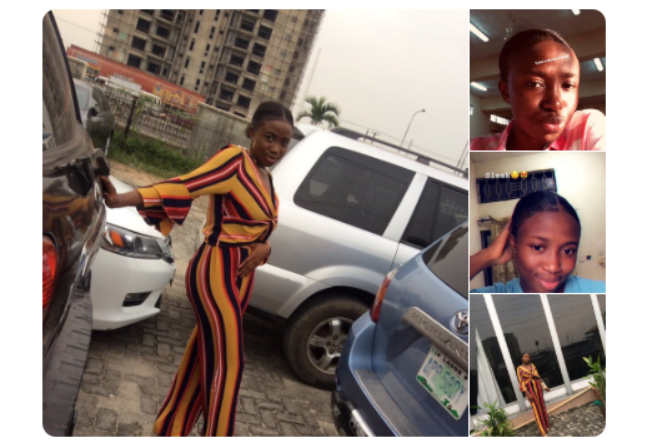 Fresh revelations on the much publicized alleged kidnap of a Covenant University student, Damilola Ajayi, who went missing some weeks ago have emerged. In reaction to Israel’s tweet, a few people suggested her boyfriend’s place should be checked. When her boyfriend was contacted, he had denied seeing her. God so good, Israel retweeted that she has been found and all seemed well until now. Damilola, who allegedly faked her own kidnap, had gone to Ibadan to spend some time with her boyfriend, identified as Mark Ikotun. The irony of the whole issue was that, while friends and family members of Damilola were tweeting and retweeting about her disappearance, Mark was said to have also joined in; tweeting for people to help find Damilola, and begging for her return. 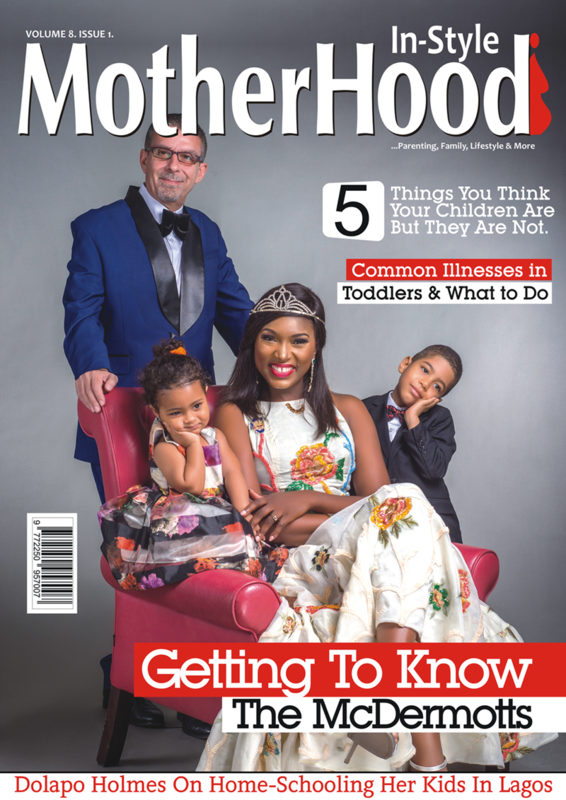 When eventually Damilola resurfaced, she claimed she was kidnapped and raped, thereby leaving friends and family in distress until now when all that was hidden got exposed. Damilola and Mark staged the kidnap to spend time together while elections were ongoing and movement was restricted. Now, her friends. who felt stupid for worrying about her are offended, and they are all over social media to call her out. This is crying wolf where there is none, and it is dangerous!